P.G. Wodehouse wrote the Jeeves and Wooster books, which were then turned into a t.v. show called Jeeves & Wooster. I've been watching Jeeves & Wooster since I was a small child and absolutely love it. Stiff Upper Lip, Jeeves has been on my TBR pile for awhile. Anyone out there who's read the books and seen the show? How do the two compare? As we all know, the Percy Jackson and the Olympians series particularly popular series which is targeted towards readers of children's books, middle grade and young adult. Considering the fact that I hope to be a children's and youth services librarian I think it'd be a good idea to pick these up. I was interested in reading them when they first came out anyways. Misty of Book Rat and Allison of The Allure of Books are both going to kill me for this one. 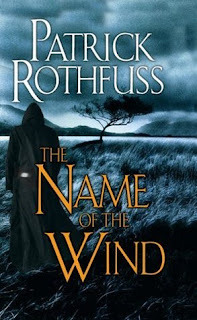 The Name of the Wind came out a few years ago and it seemed like the rave reviews started pouring in right away on GoodReads. I'm definitely interested, and the funny thing is I've definitely been in the mood for some epic adult fantasy lately. However, I'm a little intimidated by the length of this one. School is about to start, and I'm not positive if I'd really have the time to get into it. You guys had summer reading in high school, right? At my school, we'd usually be given a few lists and then pick a book or two off of each list. Lord of the Flies was an option one year, but I remember that there was something else I wanted to read instead. I love Victorian fiction and have heard great things about The Picture of Dorian Gray. So why haven't I gotten to this one? I'd always eye The Time Traveler's Wife in bookstores as a teenager and finally acquired a copy in fall of 2009. All of my highly trusted sources have said that this book is amazing. I need to hurry up and read it already. I think of Forever as something of a classic in the world of YA literature. See the above note about my career. Plus, I was a big fan of Are You There God? It's Me, Margaret as a fifth grader. Another classic, but what intrigues me about Wuthering Heights is the fact that there seems to be such a mix of opinions surrounding it. Even though a contemporary YA novel spoiled this one for me (I'd say which one but it feels too much like tattling), I want to try this one out for myself. Another one that was on summer reading lists that I never wound up picking. 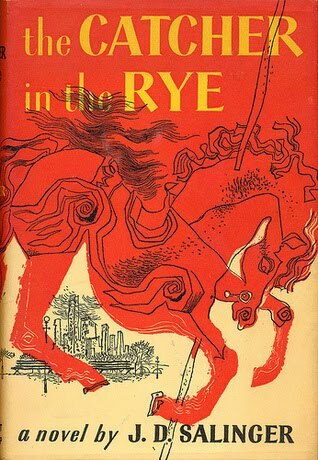 It seems as though everyone who reads, writes and works with YA literature as read The Catcher in the Rye, yet I haven't, despite the fact that I am intrigued. Time to fix that! Children's classic. Dystopian. I've loved the author's other books. Normally, these three signs all indicate a book that I'd want to read. I'm looking forward to finally picking up The Giver, and I hope that's soon. So that's all for now. Any books you can't believe I haven't read? Any that I really need to bump up? Let me know what you think! You definitely must read The Giver. A classic! I'd skip Catcher in the Rye. I didn't like it that much. I adored The Time Traveler's Wife - sob-inducing. I also can't believe that I've never read Wodehouse. Also, you should read The Giver! I read it not that long ago and it isn't much of a time commitment at all. Super short. But seriously thoug - you're killing me. Read TNOTW already!! I haven't read anything by Wodehouse either, or Judy Blume (well, maybe I've read a JB book, but not the big ones.) But all the rest of these I've read, and many of them loved. The Catcher in the Rye, though...I think that has a limited shelf life. You have to read it when you're an angsty teen or it just doesn't work. Echoing everyone else here - The Giver is amazing! 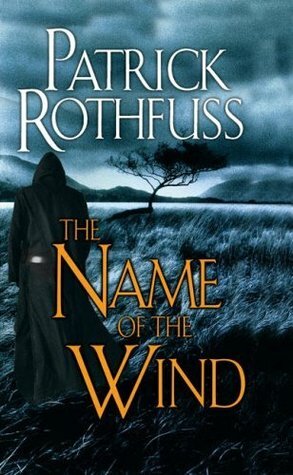 Written way back before dystopian YA took off, and still one of the best out there in my opinion. I haven't read the Percy Jackson series either, but I only hear good things about them so I must get around to it at some point! Yes, The Giver's amazing and all that, but you MUST read The Picture of Dorian Gray. It shows exactly what can occur when an author fuses one iota of fantasy and a boatload of reailty (or what was reality a century ago)into his novel. It is one of the most stylistically stunning novels ever composed....MUST-READ! 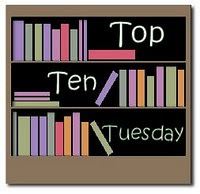 And also, please check out my list, Top Ten Books That Should Never Be (Or Have Been) Turned Into Movies. Thanks! I read The Giver in something like 5 hours (interrumpted by dinner) so you have no excuse whatsoever for skipping it. I can't believe I've never read #2, 5, 6 and 7. I was in B&N last week eyeing Dorian Gray and Catcher in the Rye, I should check them out in the near future.